Gandhinagar: Gujarat Chief Minister Vijaybhai Rupani today invited the industrialists and investors of Taiwan to invest in Gujarat, stating that it could be a win-win situation for both. The Chief Minister put across this invitation through the visiting leading media delegation of Taiwan, during an interaction with them in Gandhinagar. Rupani briefed them about the 20-odd industrial policies adopted by Gujarat to create ‘Industrial Friendly Environment’ in the state. Gujarat has taken frontal position in the fields like manufacturing, textile, petro-chemicals, pharmaceuticals, and diamonds and others. He further stated that through GIDC, Gujarat has given specific emphasis on development of industrial infrastructure, particularly by giving support and help to the MSME for increasing the production. He also invited the Taiwanese investors and industrialists to participate in a 3-day long ‘Vibrant Summit’ to be held between January 18 and 20, 2019. The media was accompanied by Mr. Hung Chang, director of Taipei Economic and Cultural Center. 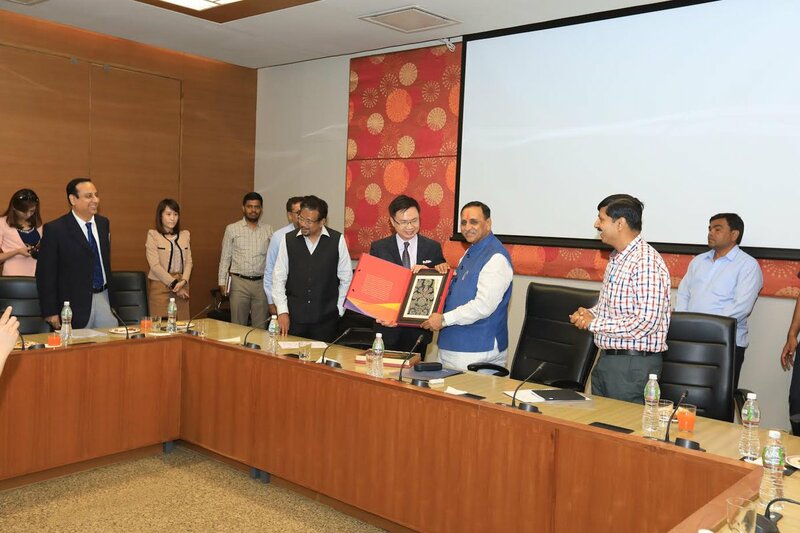 He invited Gujarat Chief Minister to visit Taiwan with a delegation from Gujarat.